Centerally located in Beach resort town of Monterey. Within minutes to Monterey Bay Aquarium,Fishermans Wharf,Cannery Row and some of the Countrys world reknowned golf courses. Close by family fun includes white sandy beaches,kid friendly activities,bike trails,whale watching, and exploring the tide pools of the Majestic Pacific Ocean. For romantic getaways,hotel is close to restaurants offering intimate dining with great ocean views. Quaint Carmel and Pebble Beach located 5 miles away. 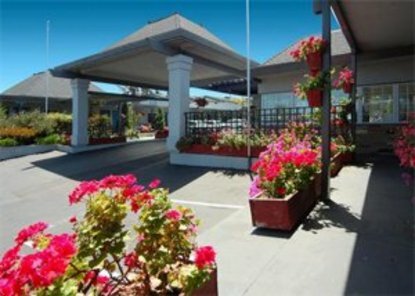 Walking distance to Monterey Fairgrounds and restaurants. Convention Center within 2 miles. Ideal town to plan a memoriable wedding.